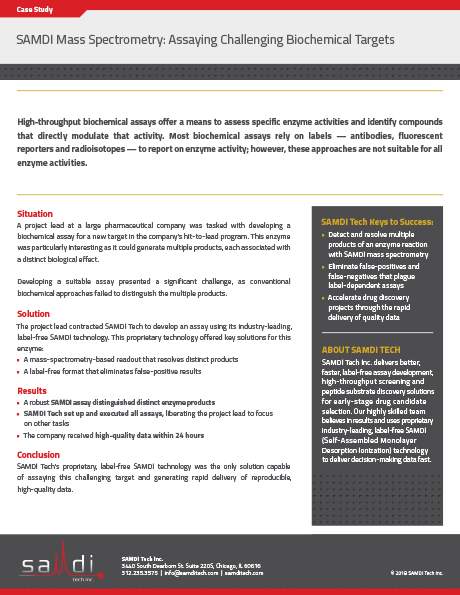 High-throughput biochemical assays offer a means to assess specific enzyme activities and identify compounds that directly modulate that activity. Most biochemical assays rely on labels to report on enzyme activity; however, these approaches are not suitable for all enzyme activities. Learn how SAMDI Tech developed an assay using its label-free SAMDI technology for a challenging biochemical target.